Everything old is new again. From the 1920s through the 1940s, the art of jazz revolved around the music of the great big bands. Led by men like Duke Ellington, Count Basie, Earl Hines, Fletcher Henderson, and Benny Goodman, these large ensembles typically divided 10 or more musicians into four sections: trumpets, trombones, saxophones, and rhythm. Although the styles of jazz these groups played varied widely, there was, especially in the golden era of the later 1930s and early 1940s, one element common to them all, a quality called “swing” ​— ​the pulsing groove that drove dancers all over the world to previously unimagined heights of ecstatic communion with each other and the music. 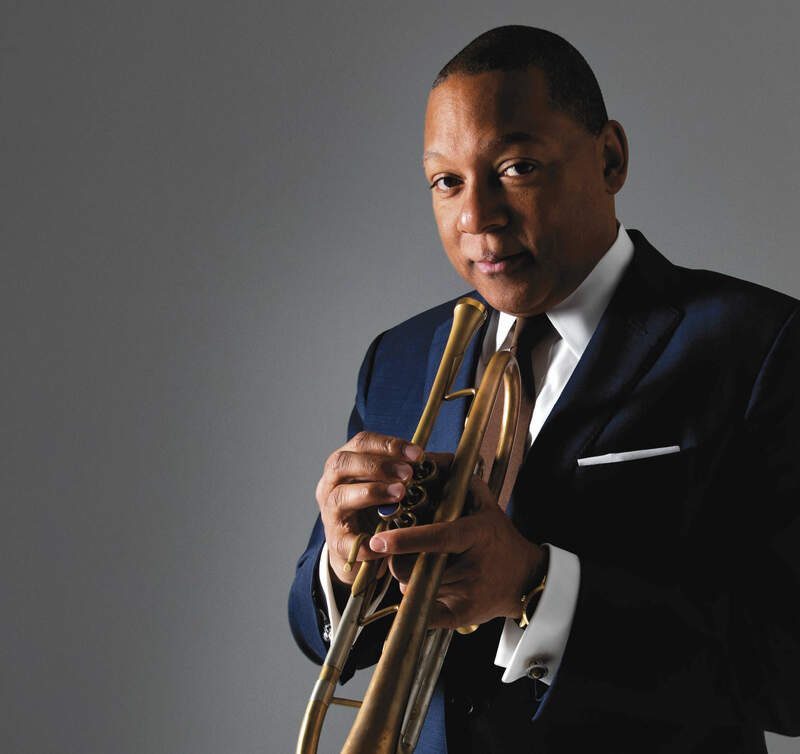 On Saturday, September 29, Wynton Marsalis, the preeminent jazz bandleader of our time, and the Jazz at Lincoln Center Orchestra (JLCO), a veteran ensemble thoroughly schooled in every aspect of the big band and orchestral traditions, will take the Granada stage for the opening event of the 2018-19 UCSB Arts & Lectures season. While Marsalis and the JLCO are familiar to audiences in Santa Barbara ​— ​thanks to Arts & Lectures, they have been coming here since 2001 ​— ​this show, an evening-length presentation titled Spaces, introduces an element that is at once brand-new and as old as the big band tradition itself, namely the presence of virtuosic dancers as soloists: the jook master Lil Buck and the tap genius Jared Grimes. 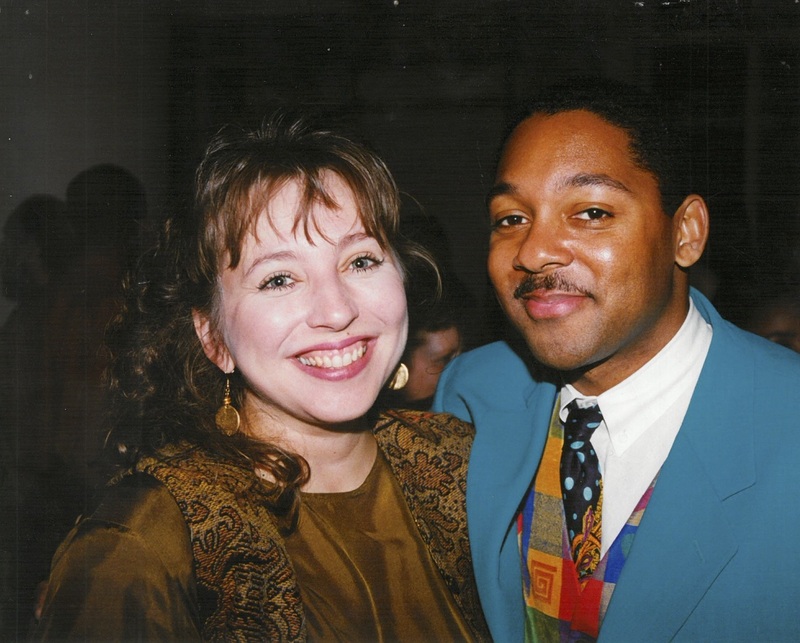 Marsalis has been breaking through cultural barriers for decades. It’s amazing to realize that it’s been more than 20 years since he became the first nonclassical composer to win the Pulitzer Prize, an honor he received in 1997 for Blood on the Fields, an ambitious vocal-orchestral suite about American slavery. Since then, he’s been involved in dozens of important projects, most notably the construction of a permanent home for the Jazz at Lincoln Center program, the 100,000-square-foot Frederick P. Rose Hall at Columbus Circle in New York City. When it opened in 2004, this magnificent facility became the first performance, education, and broadcast venue in the world devoted to jazz. Just a few blocks north of Carnegie Hall, Rose Hall stands as a confirmation in bricks and mortar of the permanent position jazz occupies at the heart of American culture, and it would not exist without either the vision and artistry of Marsalis or the collective genius of the musicians of the JLCO. Regardless of whether he is expressing his concerns about rap or celebrating a fellow jazz musician’s achievement, Marsalis is never at a loss for words. His phrasing is impeccable, and the lilting way he strings together surprising lists and unexpected clauses mirrors the invention he achieves with his trumpet. Marsalis is without question the greatest popular exponent of musical knowledge in American history since Leonard Bernstein, and it’s a fitting tribute to the centenary of the latter figure that not only will we have the opportunity this weekend to hear the wonderful music that Marsalis has composed for Spaces, but that we will also get to savor his unique and personal way with words as he narrates the various movements of the piece. When I spoke with him recently by phone, Marsalis was preparing to perform Spaces in Los Angeles, and the conversation ranged widely, covering not only his intentions for the present piece but also his long history with UCSB Arts & Lectures, the proper balance between abstraction and representation in art, and the responsibility of the artist in the modern world. What follows is an edited transcript of that conversation. The work you are bringing to Santa Barbara puts two dancers and 15 musicians to work portraying 10 different animals, from chickens and monkeys to elephants, nightingales, and frogs. Why is it called Spaces, and what made the subject of animals appealing to you? I called it Spaces because it is about the space that animals live in ​— ​not only the space that they inhabit, but also the space that they teach us about by how they live and move. The work portrays the physical, spiritual, and emotional spaces that animals create and that they share with us. The animal archetype has been of service to humans since Aesop’s fables, serving to educate, entertain, and expand our understanding of the world. We have a long-term relationship with animals, and even though now we usually only see dogs and cats on a regular basis, other animals go on appearing in our mythology. When you are a kid, you read book after book with just animals ​— ​hippos, pigs, Kermit the Frog; I mean, we could go on indefinitely just listing children’s stories with animals. Winnie-the-Pooh, Paddington the bear. Certain types of animals create certain kinds of space. Big animals create one kind of space; little animals create another type of space. And then there’s the human relationship to animals ​— ​Beethoven, Lassie ​— ​we could go on and on. What do animals have to offer jazz, or what specifically does jazz have to offer the subject of animals? Jazz is an art form, so it’s connected to everything that’s human. Anything a human being can conceive of or imagine, anything that has to do with human interaction, that has to do with creativity and creation, is in the province of jazz. It’s not possible to find a human thing without some connection to jazz, because that’s just how art forms are. Also, an art form that includes as many people as jazz ​— ​where to participate all you have to do is learn how to play an instrument ​— ​that’s a situation where you’re going to have a lot of different people involved. How has the response been thus far? Is there something in particular that people really like about this piece? Yes, people everywhere love the dancers. In Lil Buck and Jared Grimes, we have two geniuses. People are just blown away by their genius and their dexterity and their imagination. It’s kid friendly, and kids respond to the dancers. In your book Moving to Higher Ground: How Jazz Can Change Your Life, you write about the negative impact of too much abstraction on avant-garde jazz. Is the representational direction of these pieces, which portray the animals through recognizable sounds and movements, a reaction against too much abstraction? No, not really. If you look closely at the pieces, you’ll see that the first half of most of them are abstractions; it’s often the second half that is much more concrete. I don’t think that the abstract world fights with the concrete world. I feel there’s a natural balance between the two. But when there’s an insistent avant-garde motion toward abstraction, I ask: Why? Why does a chromatic scale make a triad obsolete? That’s not how we live our lives. We don’t say, “I like the way a cocktail tastes, so I’m going to stop drinking coffee” or “I like reading James Joyce, so I’m not going to read the comics again.” You don’t need to be abstract to have validity in art. Pablo Picasso was one of the first in the visual-art world to say, “I can do all of this stuff.” When he went away from cubism as his only direction, he was saying, “I can continue to do this, and I can do other things.” And I think a person like Duke Ellington was always there, because his music was made for audiences who were coming out to hear him for many different reasons. Some were there to dance, while some were seeking other pleasures, and his music was based on keeping all those people happy. He didn’t have the luxury of academic discussion of everything he did. Speaking of Duke Ellington, I know that he liked to write music with specific members of his orchestra in mind. Do you do that? Sure, I write for the players we have. Victor Goines, who has been 25 years in the band, I give him stuff I know is complicated, or sometimes a ballad, for his instrument, the clarinet. Ted Nash, I have him on “A Nightingale,” where he plays a kind of late-night, sweet alto. I have [alto saxophonist] Sherman Irby play stuff that comes from the church or is really deep, things that require both a deep blues feeling and bebop sophistication. He has a battle plan of his own. [Trumpeter] Ryan Kisor plays with a lyrical sweetness and harmonic intelligence. And what about you? Do you compose for your own voice, or do you just play? [Laughs.] I just take whatever is left over. The trumpet section, we get together and talk it over, and that will kind of determine who gets what. I know you have a long history with UCSB Arts & Lectures and with the organization’s director, Celesta Billeci. Could you say a few words about that? Man, I’ve known Celesta since she was a baby, just starting out. We kind of came up in the same time period. I knew her from the very beginning of her career. I always loved her because she has consistently been so intense and for real. She’s like a force of nature. Now we’ve been out here doing this for, I don’t know, 30 years or whatever it is, and when I look at her now I have to smile, because it reminds me of, in those early days, how much of a believer she was in the arts and in bringing people deep experiences. She is so absolutely for real. Her name is always the first one that comes out of my mouth whenever people talk about presenting arts organizations or arts programs on college campuses or arts management. She is the absolute gold standard for this type of work, and even when she was a kid, she had that kind of dedication. Is it interesting to look back and reflect on the way that someone you have known for decades has grown and changed? You know it is, and it is actually funny [laughs], because you don’t know it’s going to be like that. You don’t know who is going to last. In the beginning, you don’t know who is going to stay out here … who will stay going after the dream, and who is going to continue to make stuff happen. I’m so proud of her; whenever I see her, it’s just like, what can I say? Jared Grimes leaps high as Lil Buck cheers him on. In 2016, you performed a long work called The Abyssinian Mass. I recently heard a recording of that piece, and I was deeply impressed not only by the seriousness of the content but also by the swing of the music. How did that come about? Reverend Calvin O. Butts [pastor of the Abyssinian Baptist Church in Harlem] asked me to write something to celebrate the church’s anniversary. The first time we did it, we struggled. It’s a challenging work, but my friends David and Thelma Steward, they supported the piece. They took that leap of faith. Pieces like that take support, because it’s hard to make things on that scale happen. We actually have 15 of these longer pieces, some of them by me and some by other members of the orchestra, and we plan to begin releasing recordings of them over the next few years. It’s something I’m really proud of, and it’s also something that’s really hard to do, so thank you for mentioning it. In a recent podcast with Jonathan Capehart of the Washington Post, you made some remarks about hip-hop and how you feel that some aspects of that music have been damaging to the culture at large. I won’t ask you to comment on that, but I did want to acknowledge that I admire your willingness to take a stand when it comes to aesthetics and morality. Oh, I don’t mind if you ask about that. I’m not looking for likes on Facebook. I’m out here in the community, and I see the effect that it’s having on kids. And I’m not talking about the whole art form, just one aspect of it. These people who misconstrue that, who insist that I’ve got something against all hip-hop music and not just the negative aspects, I don’t care what they think and say about me. Last spring, you introduced a substantial new piece called The Ever Fonky Lowdown that expresses some of your opinions about culture and society. From what I have read, in it you are examining the ways in which people become trapped by false realities. When people agree on something that’s not true, then others live with the consequences. Is that an accurate description of what you are saying? Yes, that’s pretty good. It’s about what happens when you are living within an illusion that is so heavy that you can’t get out of it. Questions like, Who am I fighting and why? become both constant and impossible to answer. We will do it again next year in Chicago. The libretto is dark, but the music that goes along with it is kind of happy. You have come a long way, from winning back-to-back Grammys in multiple categories when you were still in your early twenties to being an international icon today. Will you reflect on that journey? You know, I made a lot of sacrifices, especially in my personal life, to accomplish what I have, but it’s been such a blessing to play with all these unbelievable musicians over the years, and that has more than compensated. The bottom line is that I am grateful, and I want to prove my gratitude by being for real. As long as I can breathe, I am going to prove my gratitude by my work ethic and by helping the people I believe in to produce the music that’s in them. It’s been a blessing. After starting in the late 1980s with just a few concerts per year, you built Jazz at Lincoln Center not only into a great organization but also into a great venue on Columbus Circle. How does that feel? It feels great. There’s no way I could have known we were going to do all that when we started. There were so many people working in so many ways to realize this dream. I was only one part of it. On Friday morning, September 28, you and the orchestra will be presenting a young people’s program at the Granada for more than 1,000 schoolchildren. What’s that about? This one is called “What Is Monk?,” and it is our third or fourth education event that we have done on our visits here. We’re going to talk about Thelonious Monk, about his characteristics and his vision, and the musicians and I will be demonstrating his music. Ultimately, the lesson concerns the values that Monk represents, which are the core values of jazz. First comes having the integrity of being yourself, which is something that Monk excelled at. Then there’s the importance of having people in your life who believe in you. That’s what makes great things possible. With that comes an obligation to share your knowledge with others, and Monk was great at that too. Finally, we illustrate through music the value of being part of other people’s development by participating in equal collaboration. Taken together, adopting these ideas and attitudes will change you, and that’s what jazz is all about.